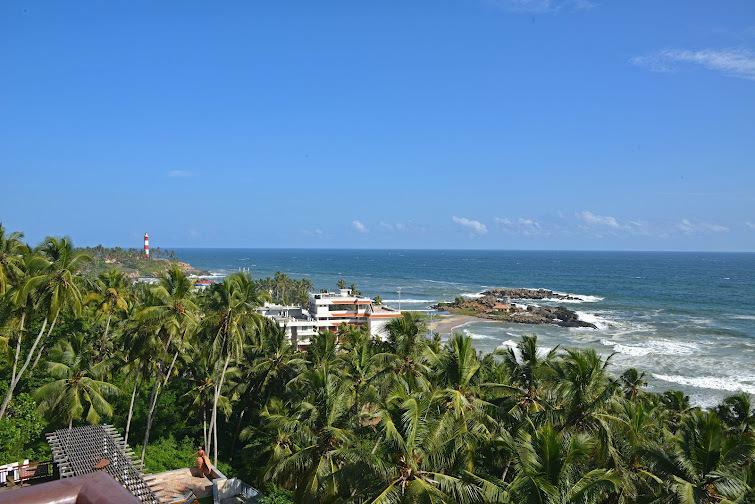 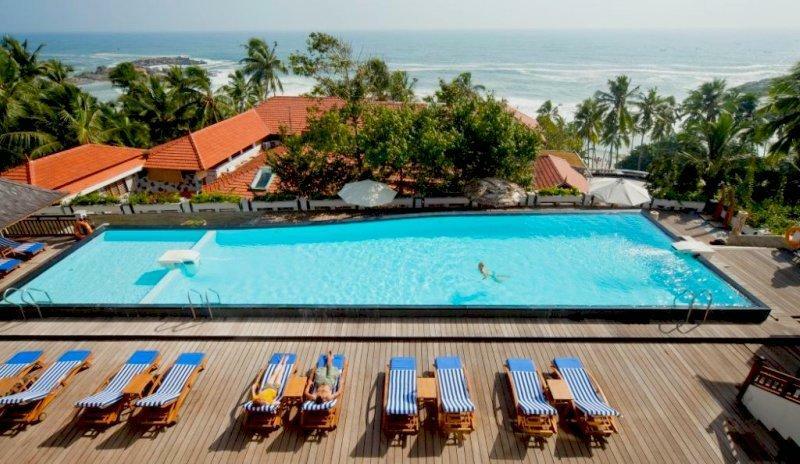 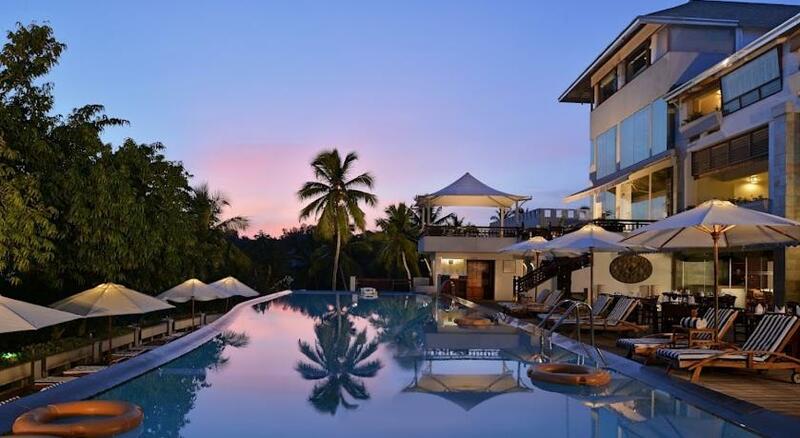 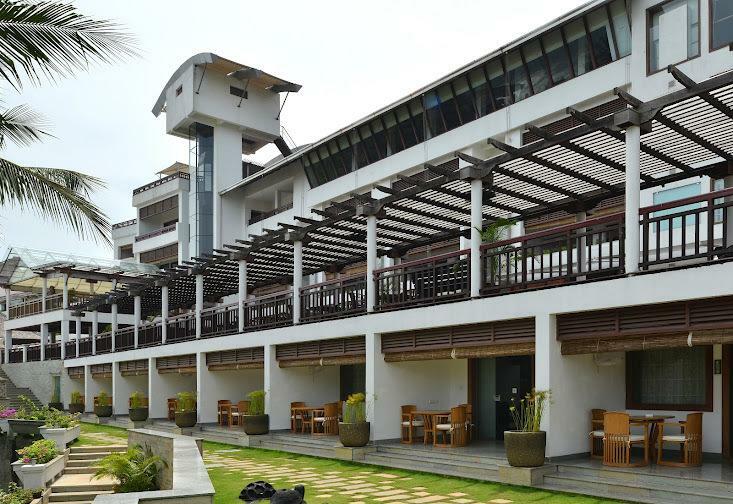 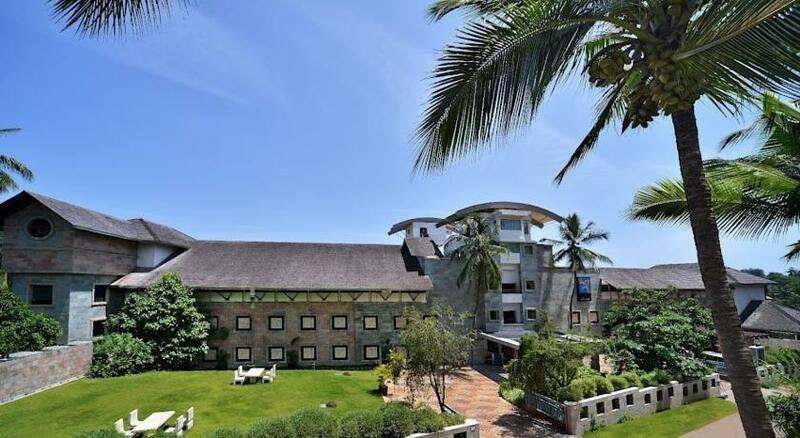 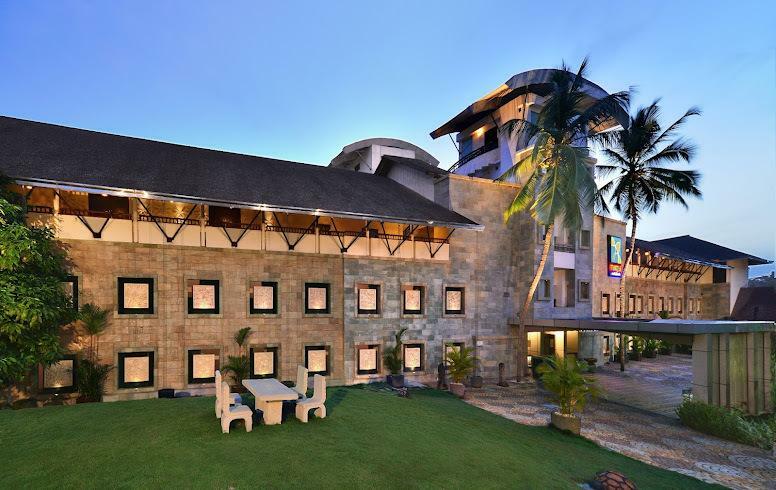 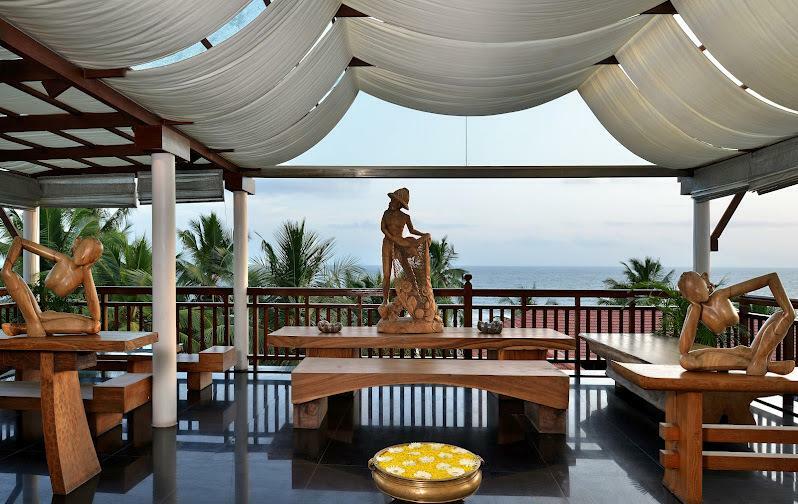 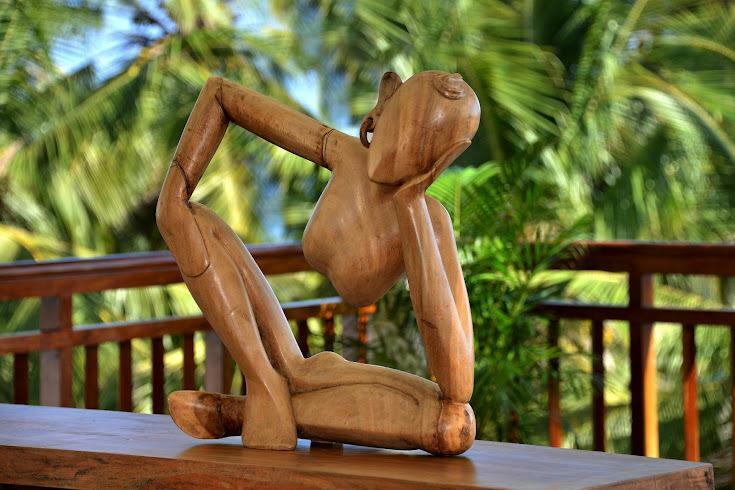 Located in Kovalam, Turtle on the Beach offers a stylish boutique experience in a vibe that is combined with the beach and tranquility of Kerala. 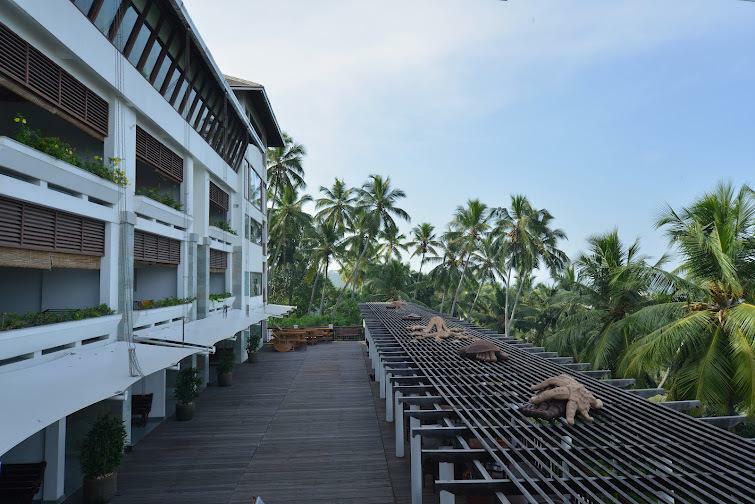 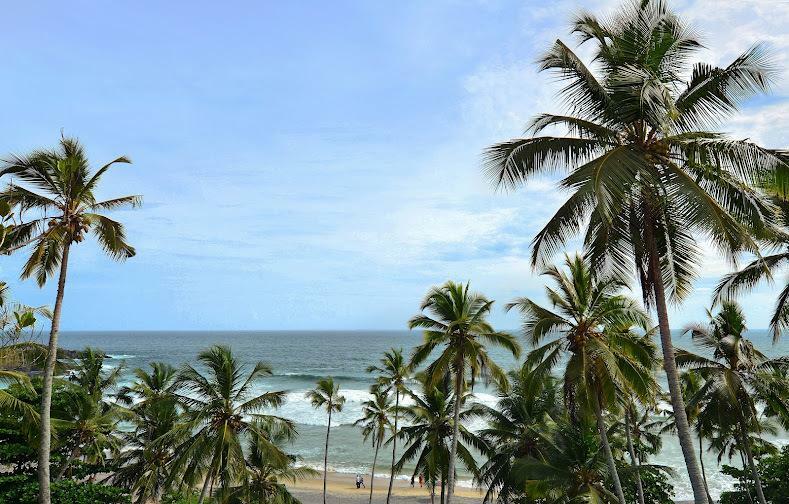 The hotel faces the Eve’s beach and is perfect destination of relaxation and for acquiring some peace of mind. 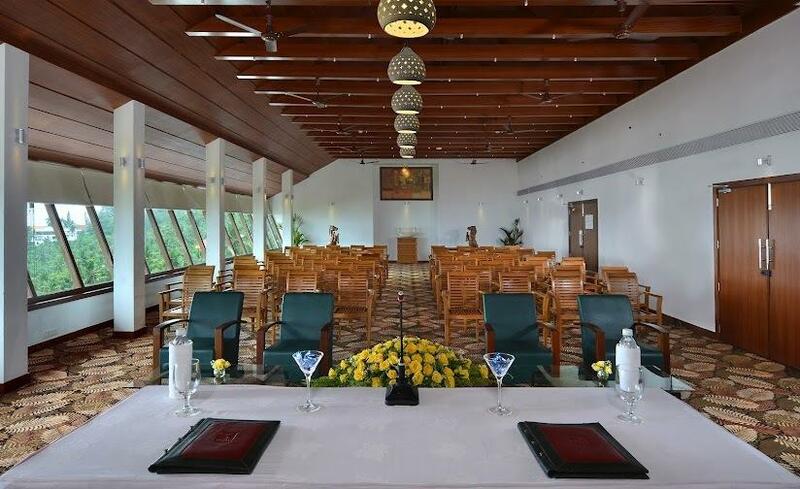 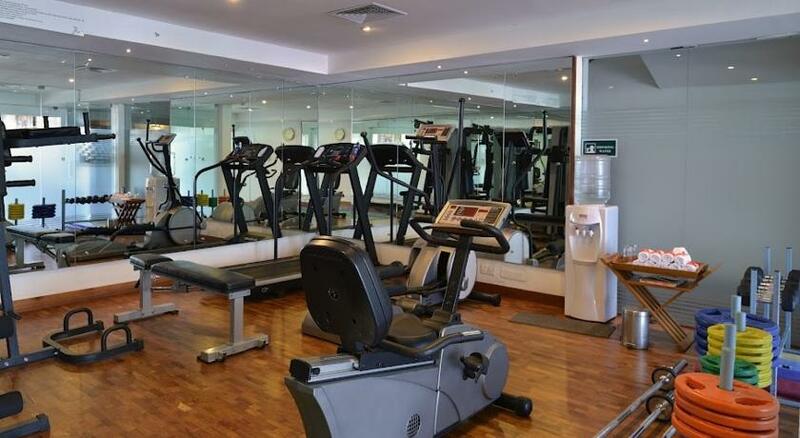 The hotel offers a number of modern facilities for making the guests stay a pleasant one, including modern day Spa, gift shop, outdoor swimming pool, health club, business center, recreation center, conference facilities, high speed internet services, 24 hour in room dining facility and much more. 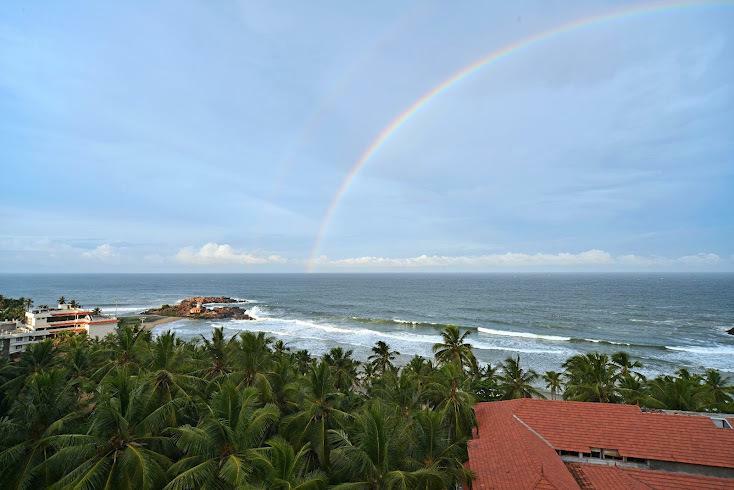 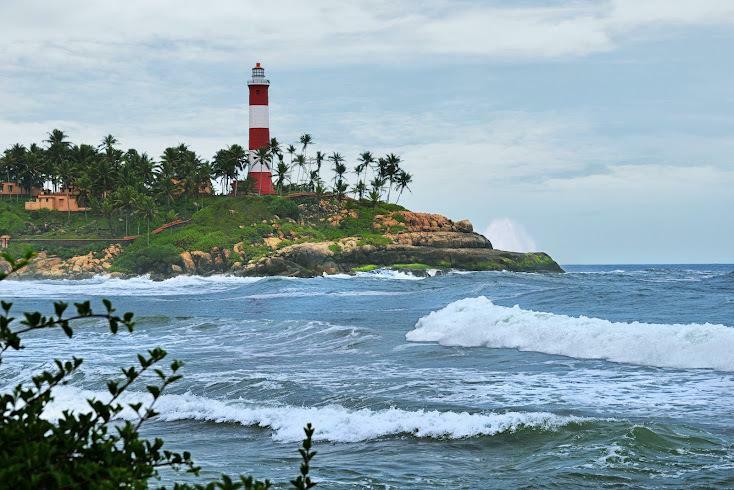 Guests can visit a number of tourist spots that include Padmanabha Swami temple, Kuthiramalika palace, Napier museum, Sree Chitra art gallery, zoological park, science and technology museum, Priyadarshini planetarium, Veli tourist village, Shankumugham beach, shopping centers, local markets, and much more. 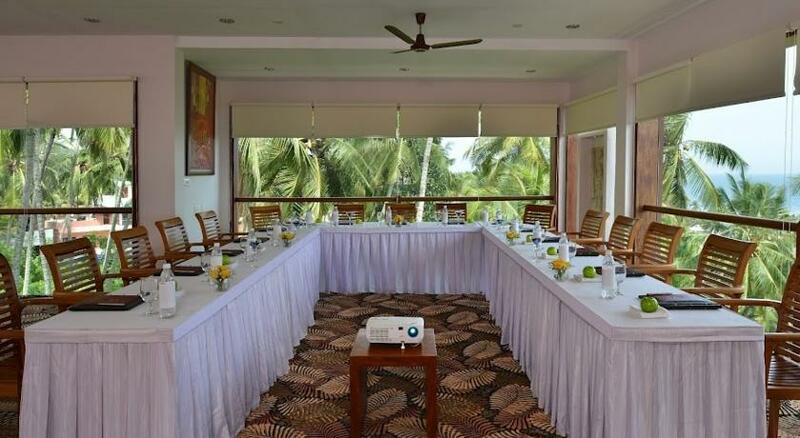 The hotel offers turtle garden view room that offers sleek sophistication and overlooks the lush green gardens of the hotel. 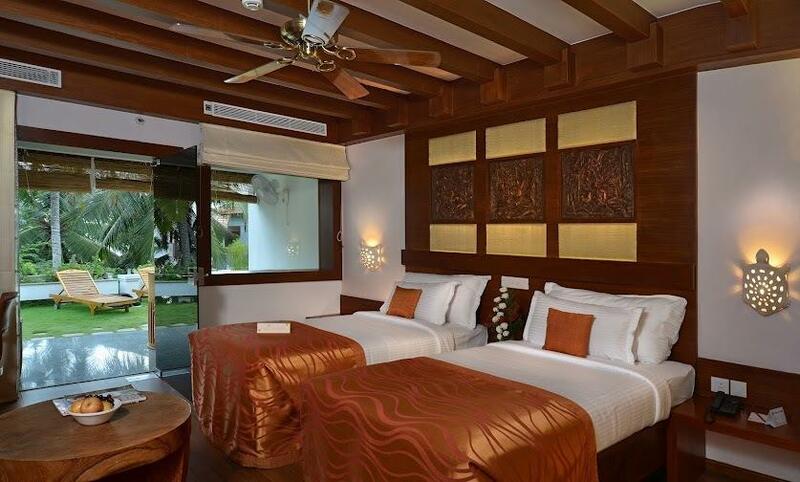 The room offers a large king sized bed or twin beds are available on request, centrally air conditioned within room temperature control, a ceiling fan, a separate work desk, LCD TV with satellite connection, DVD player, in room tea/coffee maker, fruit basket on welcome, 24 hour in room dining, use of health club and swimming pool, safety deposit, box, chargeable high speed internet services, spaciously designed bathrooms with bathtubs and bathrobes, various toilet amenities and a private sit out balcony that overlooks the green gardens. 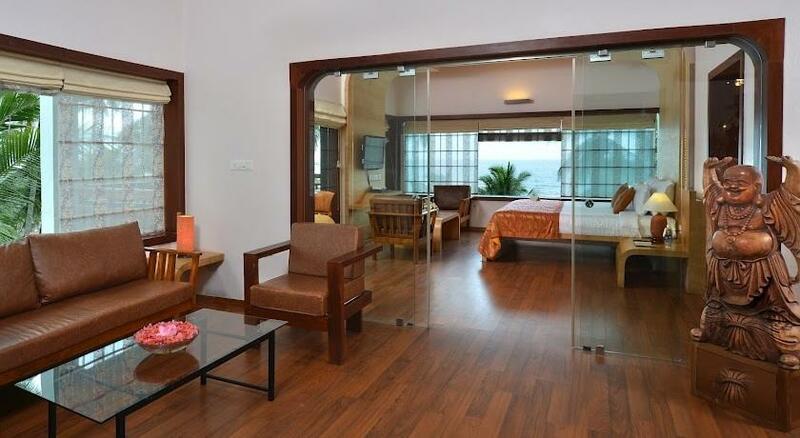 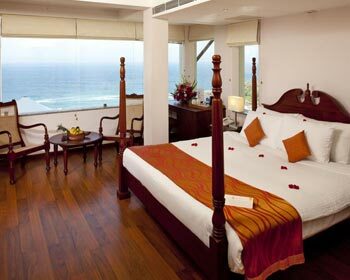 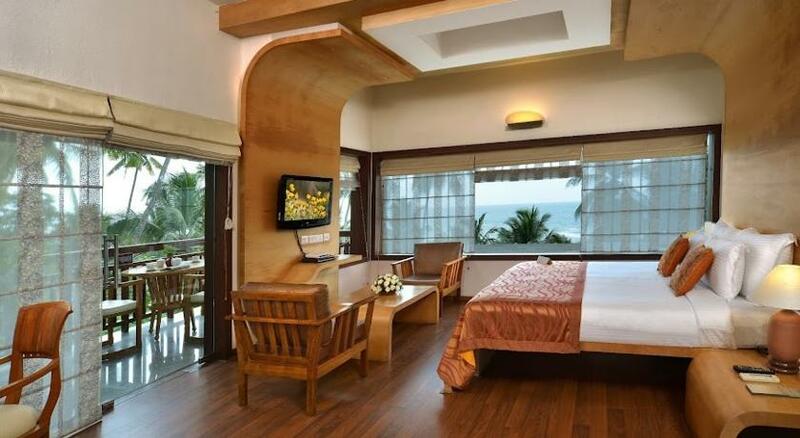 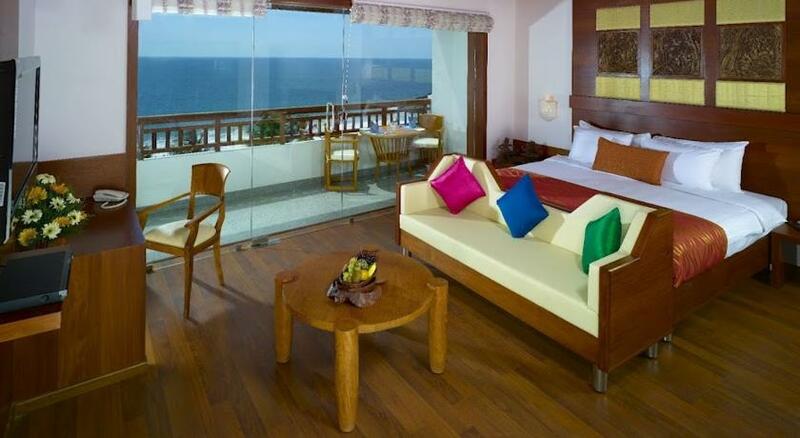 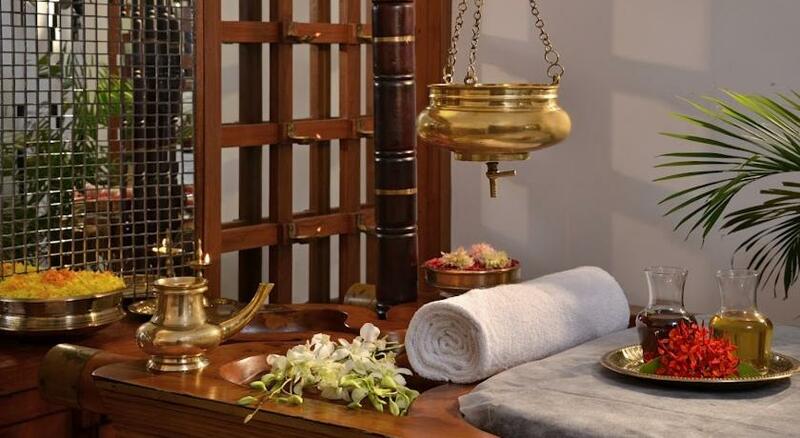 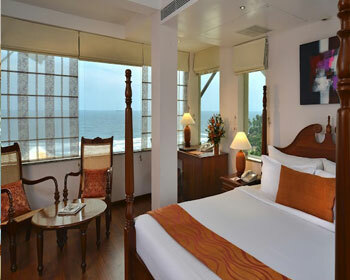 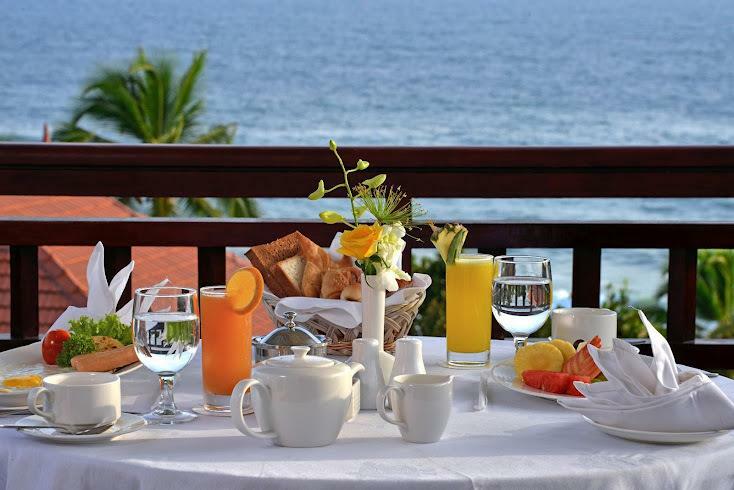 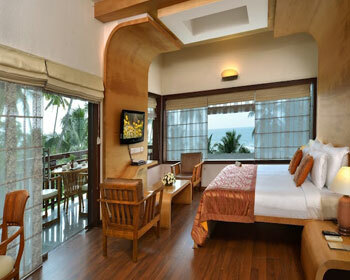 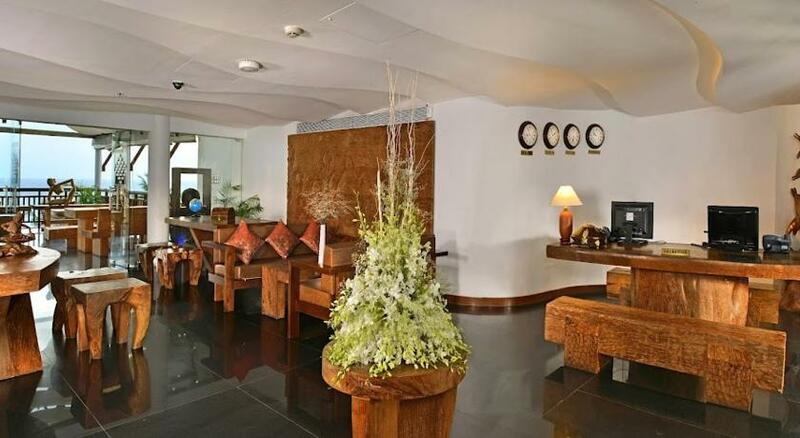 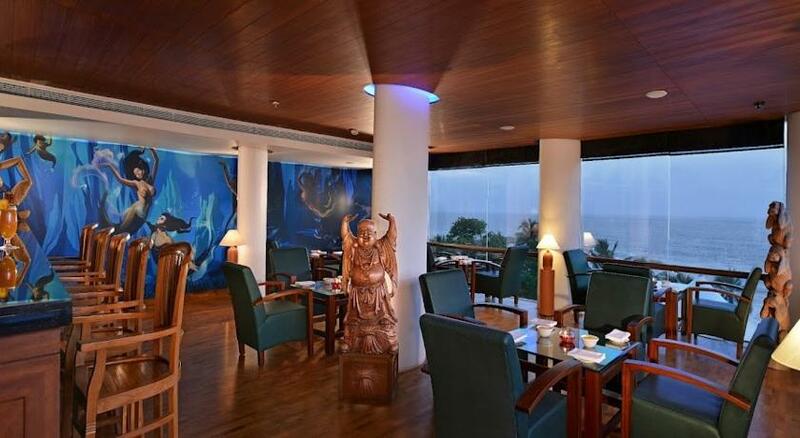 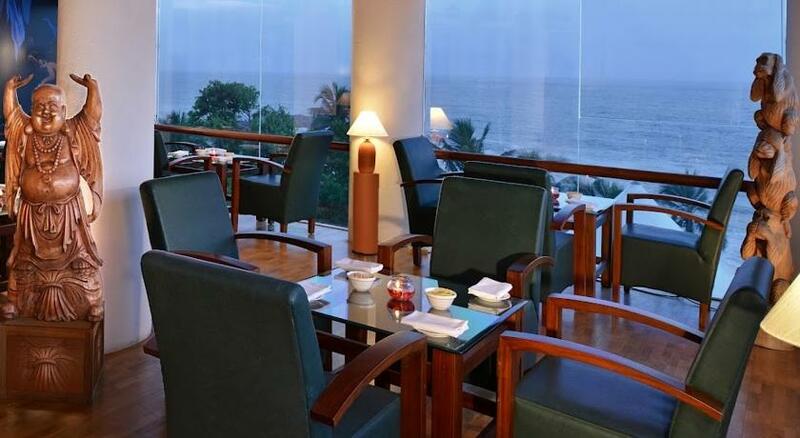 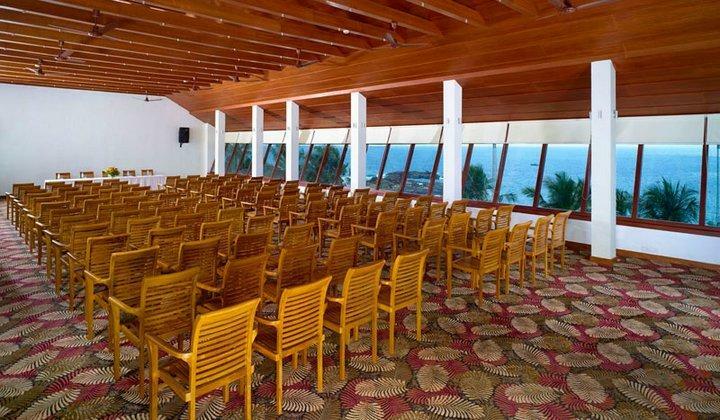 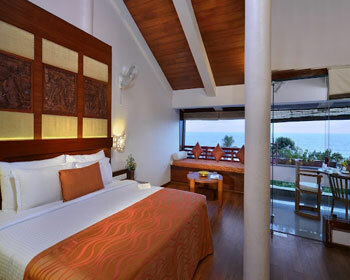 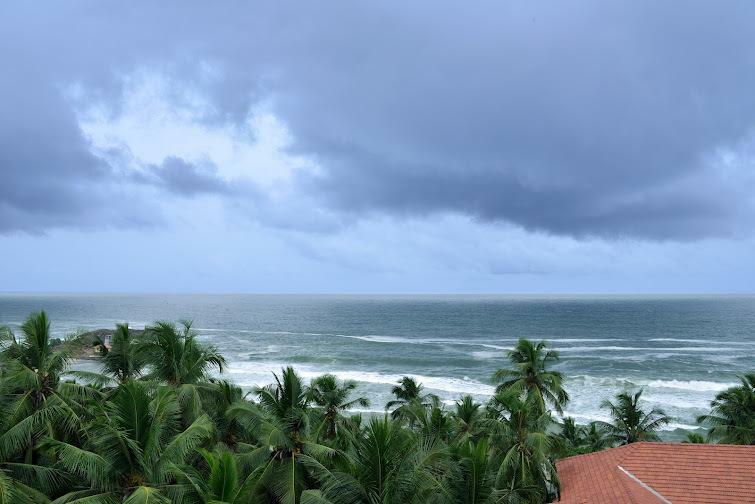 The hotel offers Arabian Sea view rooms that are elegantly designed and cozy. 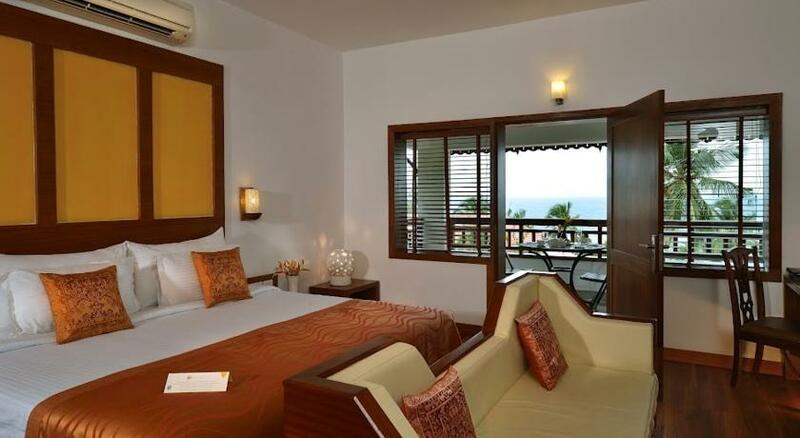 The room offers a large king sized bed, centrally air conditioned within room temperature control, a ceiling fan, a separate work desk, LCD TV with satellite connection, DVD player, in room tea/coffee maker, fruit basket on welcome, 24 hour in room dining, use of health club and swimming pool, safety deposit, box, free high speed internet services, spaciously designed bathrooms with bathtubs and bathrobes, separate sitting area, various toilet amenities and private sit out balcony with beach chairs that overlooks the sea. 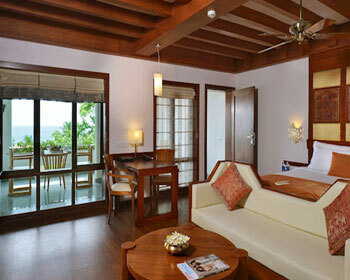 The hotel offers duplex suites that are ideal for families with children. 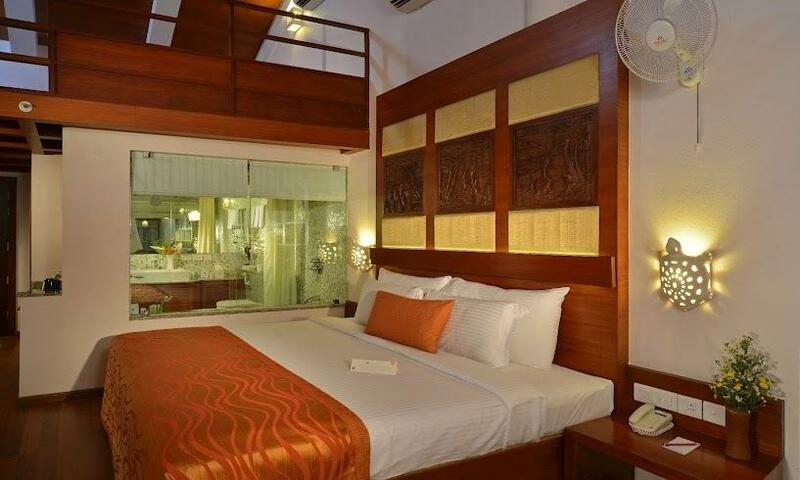 The suite has two rooms – master bedroom on the lower level and a double bed for the kids on the upper level. 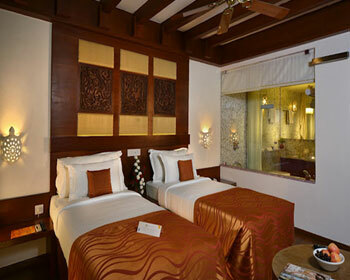 The suite offers two king sized beds, centrally air conditioned within room temperature control, a ceiling fan, a separate work desk, LCD TV with satellite connection, DVD player, in room tea/coffee maker, fruit basket on welcome, 24 hour in room dining, use of health club and swimming pool, safety deposit, box, free high speed internet services, spaciously designed bathrooms with bathtubs and bathrobes, separate sitting area, various toilet amenities and private sit out balcony with beach chairs that overlooks the sea. 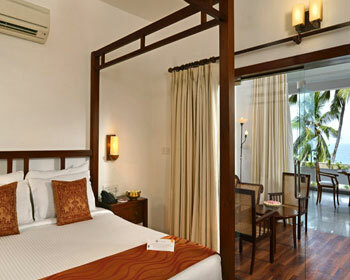 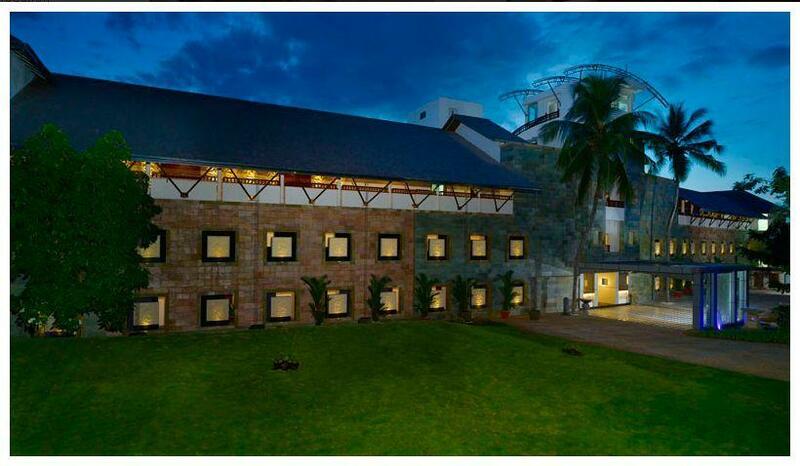 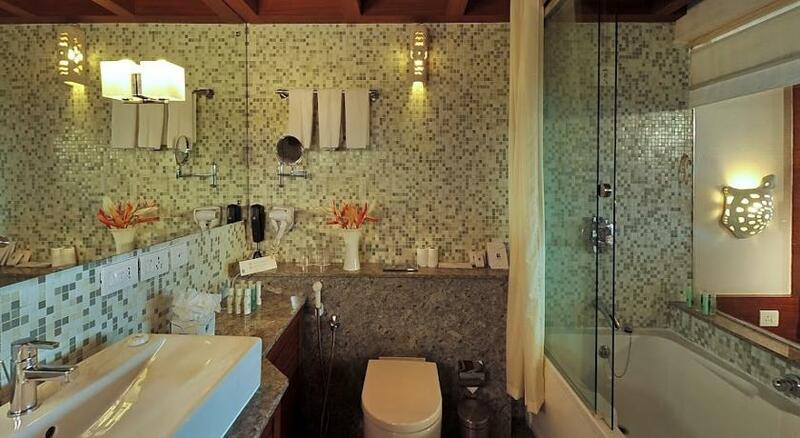 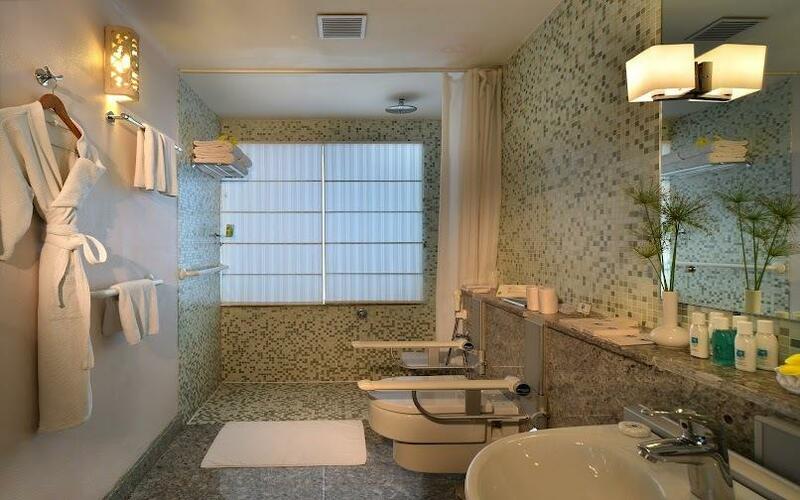 The hotel offers spacious suites that offer all modern amenities and comforts. 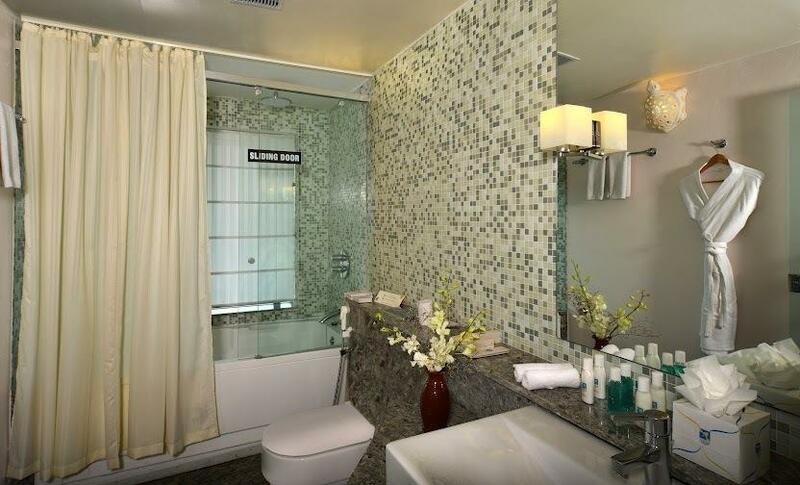 The suite offers a king sized beds, centrally air conditioned within room temperature control, a ceiling fan, a separate work desk, LCD TV with satellite connection, DVD player, in room tea/coffee maker, fruit basket on welcome, 24 hour in room dining, use of health club and swimming pool, safety deposit, box, free high speed internet services, spaciously designed bathrooms with bathtubs and bathrobes, separate sitting area, various toilet amenities and private sit out balcony with beach chairs that overlooks the sea. 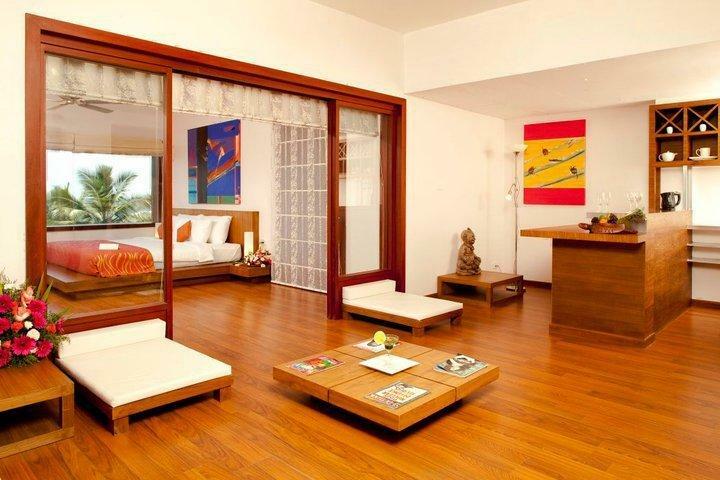 The hotel offers turtle signature suites that celebrate style of Japanese design with low placed beds, seating and table along with a lounge area and kitchen dining counter. 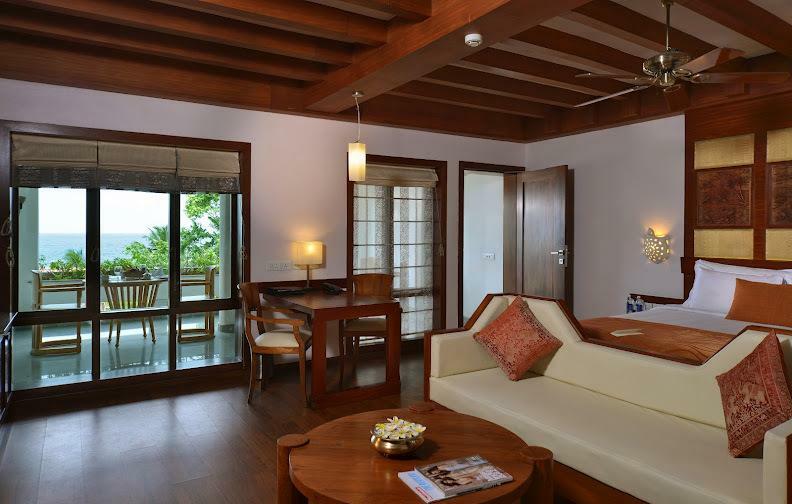 The suite offers a king sized beds, centrally air conditioned within room temperature control, a ceiling fan, a separate work desk, LCD TV with satellite connection, DVD player, in room tea/coffee maker, fruit basket on welcome, 24 hour in room dining, use of health club and swimming pool, safety deposit, box, free high speed internet services, spaciously designed bathrooms with bathtubs and bathrobes, separate sitting area, a large living room with a sofa set, wooden flooring and a large sit out private balcony. 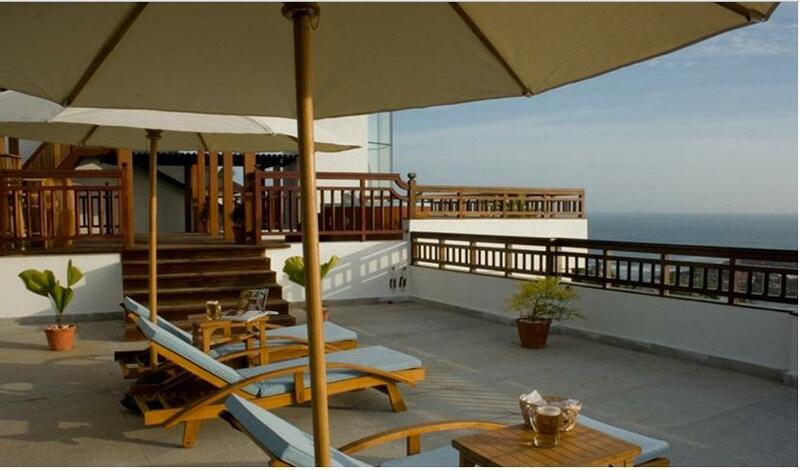 The hotel offers 2480sq foot sky suites that is located on the top level and features its own living room, bathroom, terrace with Jacuzzi and a bedroom. 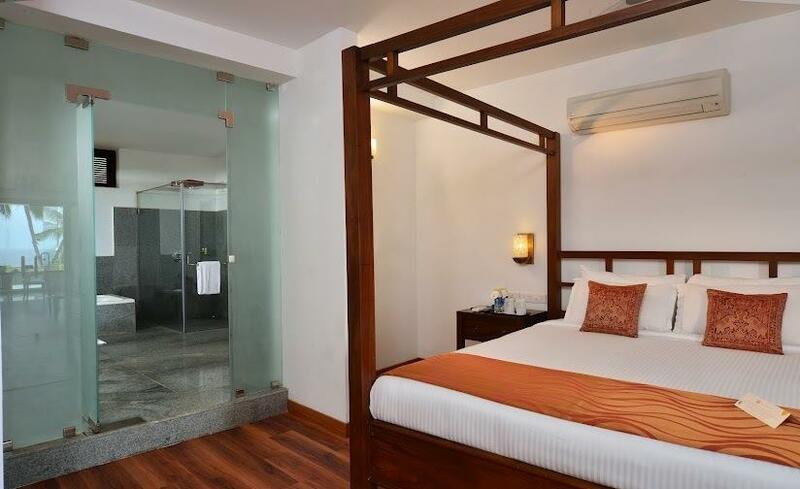 The suite offers a king sized beds, centrally air conditioned within room temperature control, a ceiling fan, a separate work desk, LCD TV with satellite connection, DVD player, in room tea/coffee maker, fruit basket on welcome, 24 hour in room dining, use of health club and swimming pool, safety deposit, box, free high speed internet services, spaciously designed bathrooms with bathtubs and bathrobes, separate sitting area, various toilet amenities and a large living room, sun terrace with gazebo sitting and washrooms, terrace with Jacuzzi, pergola and sit out. 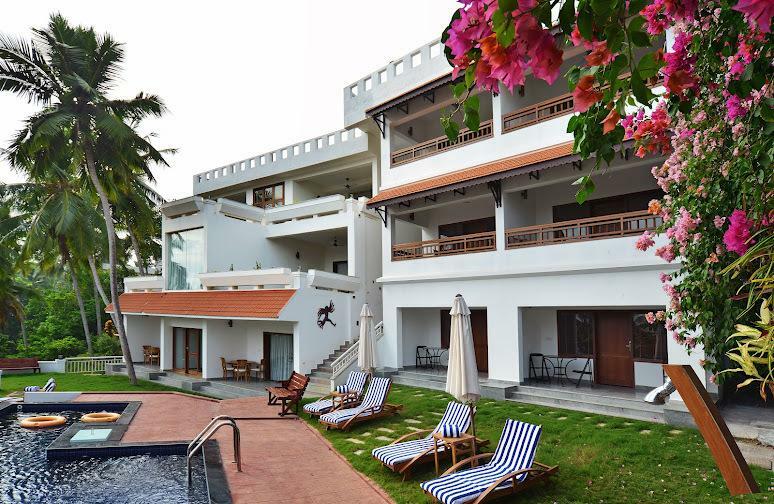 The hotel a leisure villa for families travelling together with three bedrooms, large living room, kitchen area, common room, a private pool and much more. 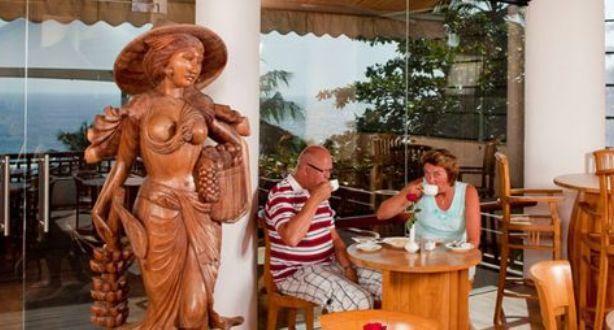 The villa offers three king sized beds, centrally air conditioned within room temperature control, a ceiling fan, a separate work desk, LCD TV with satellite connection, DVD player, in room tea/coffee maker, fruit basket on welcome, 24 hour in room dining, use of health club and swimming pool, safety deposit, box, free high speed internet services, spaciously designed bathrooms with bathtubs and bathrobes, separate sitting area, various toilet amenities, private sit out balcony with beach chairs that overlooks the sea, kitchen, large living room, own private pool and a common sitting area. 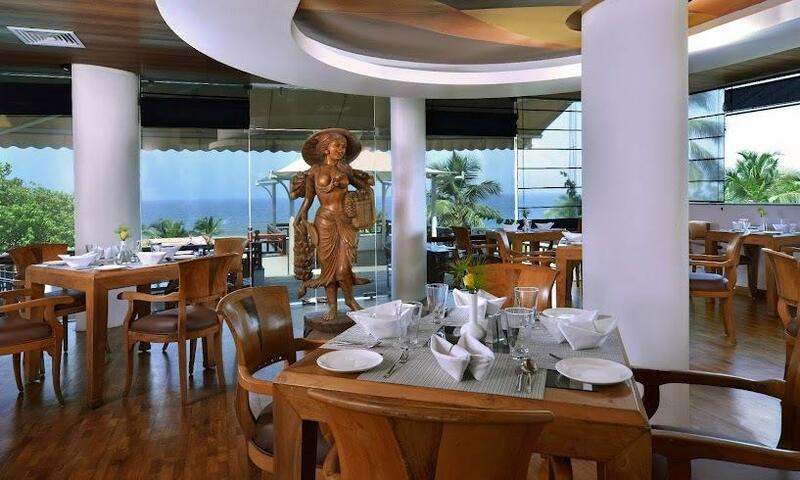 The main restaurant offers multi cuisine menu and an exotic dining experience along the pool side that overlooks the Arabian Sea. 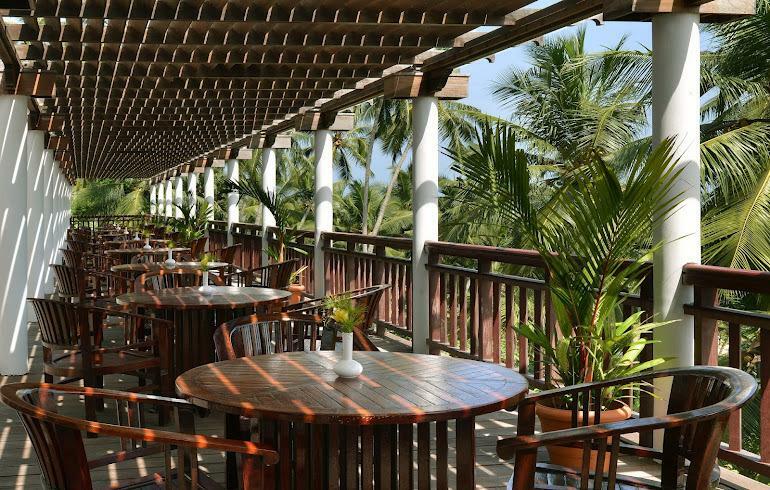 The in house lounge and café offers a wide range of beverages along with Indian as well as Western savories, sandwiches, freshly brewed coffee and much more. 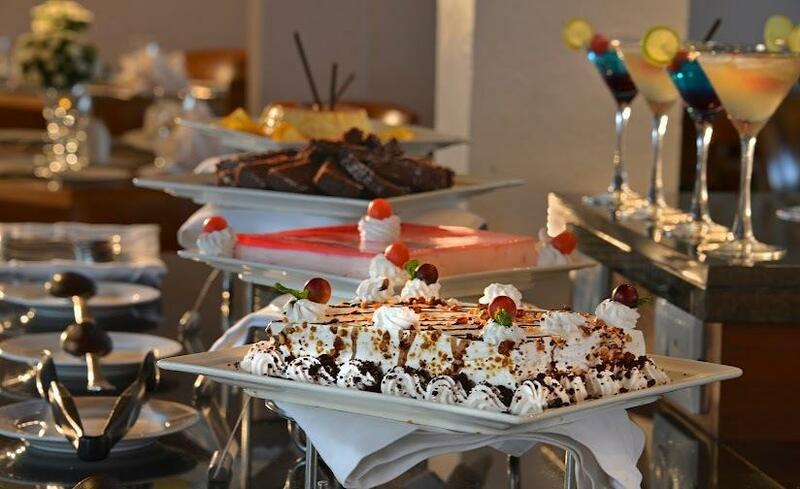 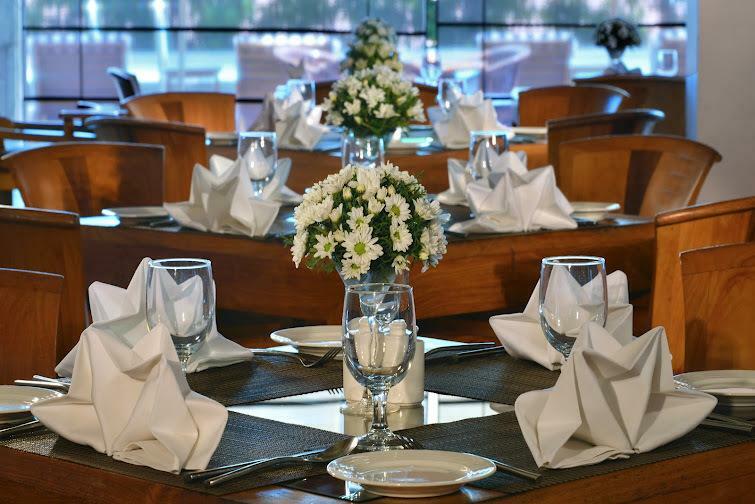 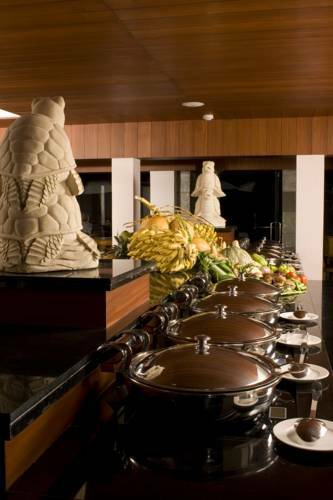 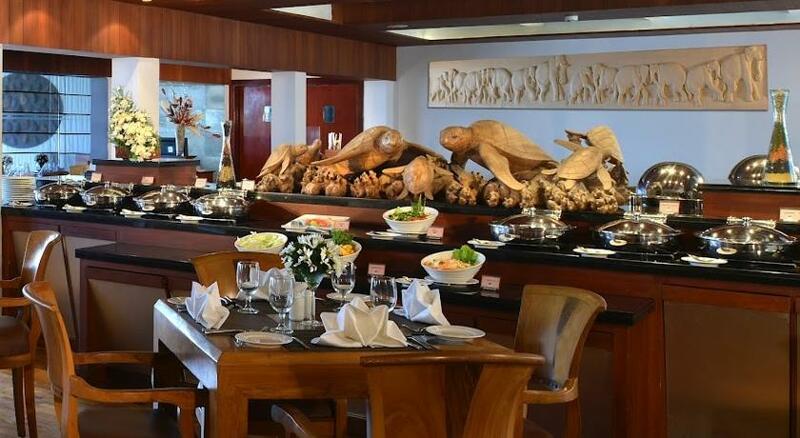 The in house Mediterranean restaurant offers a wide range of exotic delights to suit taste palettes of each guest. 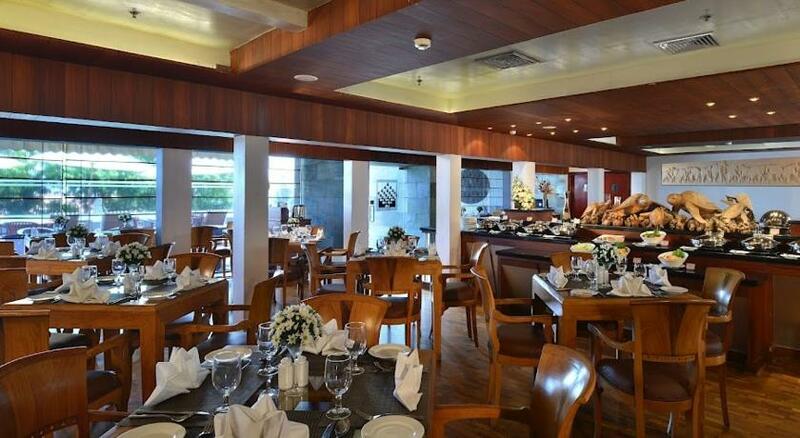 The restaurant has a wide range of food as well as a drink counter in the middle.